Multi-billion dollar acquisition will see IBM become the world's largest hybrid cloud provider. IBM has acquired a multi-billion dollar deal to acquire software firm Red Hat. 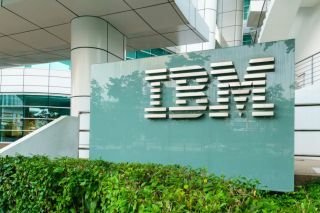 The $34bn deal was hailed by IBM as a "game-changer" and will see the computing giant become the world's largest hybrid cloud provider. IBM's acquisition topples Microsoft's $26.2bn takeover of LinkedIn in 2016 and Facebook's deal to buy WhatsApp in 2014 as the biggest software deal ever. The deal has reportedly been approved by both company boards, and should be completed in the second half of 2019, subject to approval by Red Hat's shareholders, as well as regulatory demands. “The acquisition of Red Hat is a game-changer. It changes everything about the cloud market,” said Ginni Rometty, IBM Chairman, President and Chief Executive Officer. “IBM will become the world’s #1 hybrid cloud provider, offering companies the only open cloud solution that will unlock the full value of the cloud for their businesses." IBM has promised that the deal will allow it to "remain committed" to Red Hat's open source activity, and said it will continue to encourage the latter's wide-ranging developer ecosystem. The two companies had previously announced in May that they were working on a hybrid cloud partnership, and IBM has now said that Red Hat will continue to exist as a distinct business unit within its hybrid cloud team - already worth around $19bn. The firms will also continue to work together on Red Hat's existing partnerships with cloud leaders including Amazon Web Services, Microsoft Azure, Google Cloud and Alibaba. "Joining forces with IBM will provide us with a greater level of scale, resources and capabilities to accelerate the impact of open source as the basis for digital transformation and bring Red Hat to an even wider audience – all while preserving our unique culture and unwavering commitment to open source innovation," said Jim Whitehurst, President and CEO of Red Hat.